All Metallica items listed below are authentic and very limited. We do not carry multiple items. All prices and availability are subject to change. All prices include shipping and handling for all USA customers. All other destinations will require actual shipping cost to complete transaction. Have a question? Ask us before purchasing the item. Thank You. 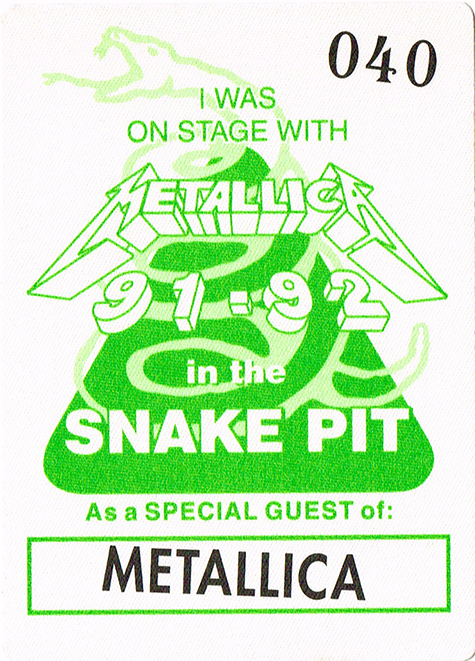 Description: 1991-92 Metallica Snake Pit Backstage Pass. Limited pass. Description: Metallica Jason Newsted Concert Tour Guitar Pick. Reverse side star logo. Description: Metallica James Hetfield Concert Tour Guitar Pick. Fist Bound. Description: Metallica Kirk Hammett Concert Tour Guitar Pick. Stripes Black. Description: Metallica Kirk Hammett Concert Tour Guitar Pick. Since 1981. 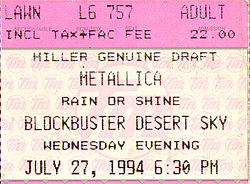 Description: 5x7 yellow and black 1992 concert flyer. 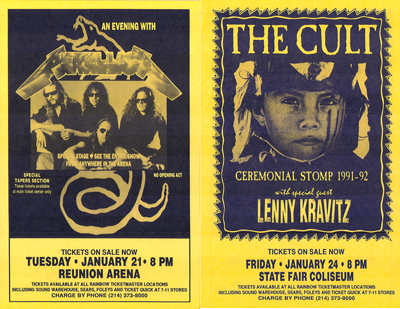 This is a double sided flyer promoting The Cult 1992 concert. Description: 5x9 Metallica Arminski 1994 day glow handbill. Madison Square Garden NYC. 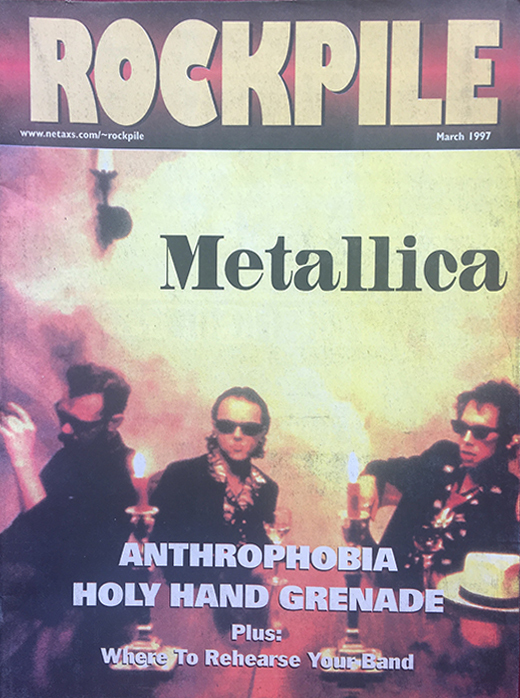 Description: Metallica March 1997 Rockpile Magazine. 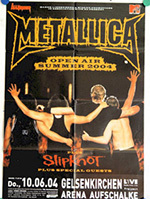 Description: 2004 Metallica German Concert Poster. Size 24x34. Item in VG+ condition. Shipped Folded. 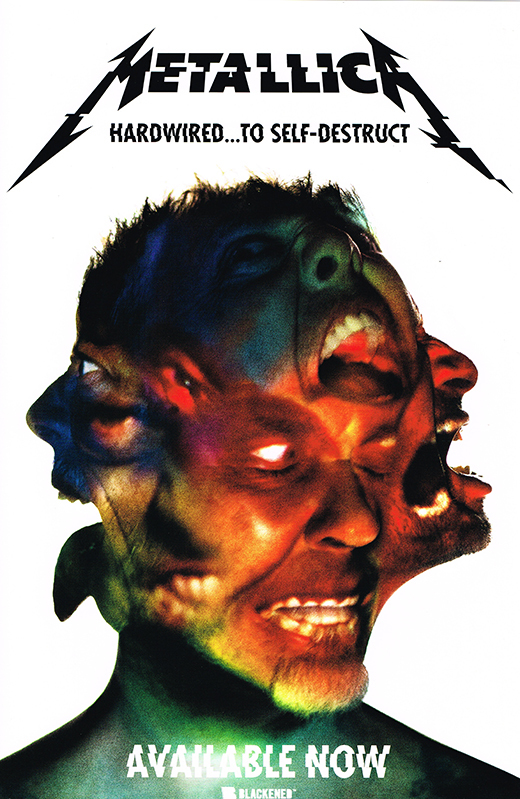 Description: Metallica Hardwired Promo Poster. Size 11x17. Item in mint condition. Description: Full Unused Ticket in mint condition. Original Raised Lettering! 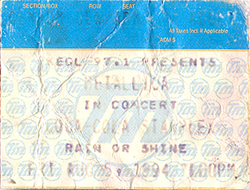 Description: Ticket Stub in VG- condition.